25 serves. This is Vegan Protein, like you’ve never tasted! 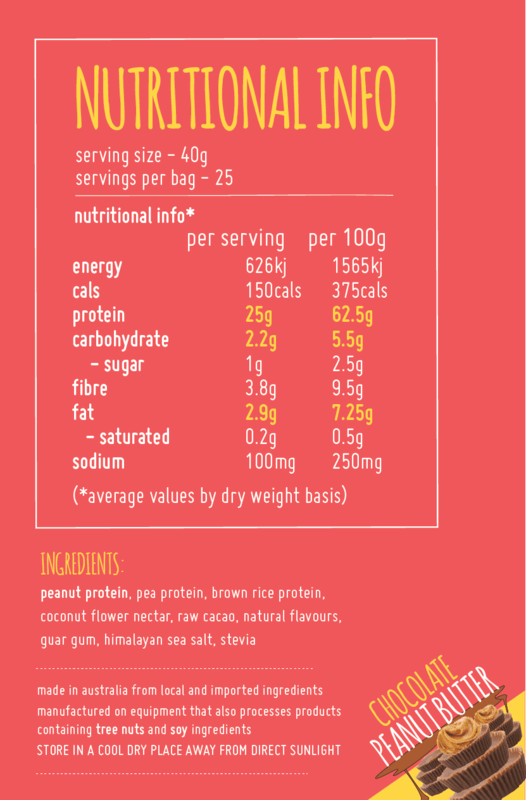 Macro Mike ‘s Protein is the perfect blend of peanut, pea and rice protein. 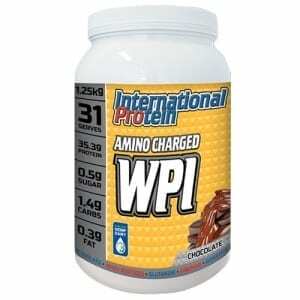 We bring you 25g of complete protein per serve, with 110% texture and taste. It’s super easy to make, just mix 1 scoop (40g) with 200-250 mls of water. It’s delicious with almond, rice or coconut milk and even better in smoothies. Our 1kg bag is 25 serves. We’ve formulated a range of delicious flavours. 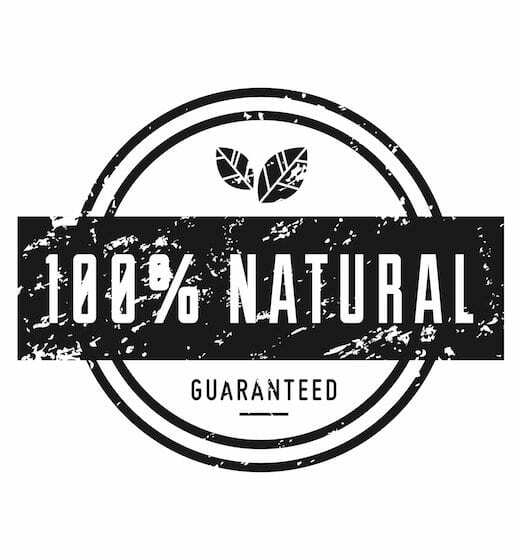 Protein+ combines the famous taste of our peanut protein with raw and natural whole food ingredients to bring you a naturally sweet, creamy, completely dairy and gluten free protein that tastes amazing. 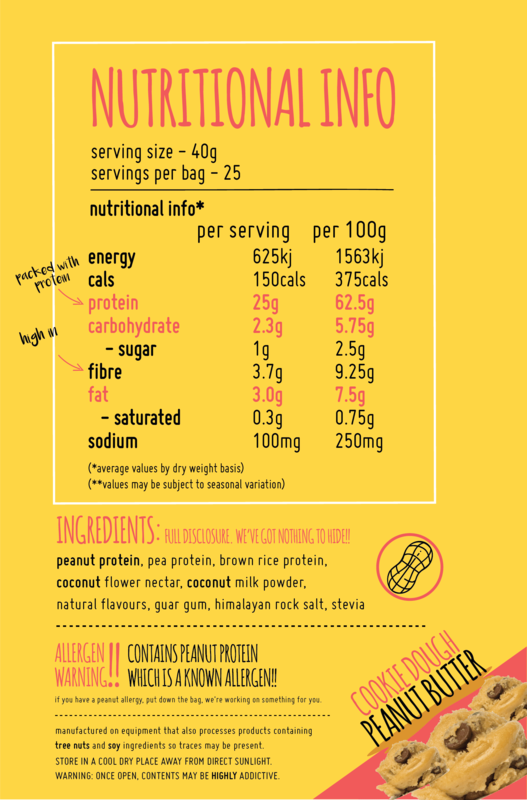 If you love peanut butter and want to increase your protein intake naturally, this ones for you!! Can’t decide which flavour? Our Chocolate Peanut Butter is for all the chocaholic fans out there. Our Cheezecake tastes dreamy like a Biscuity Peanut Butter Cheezecake. 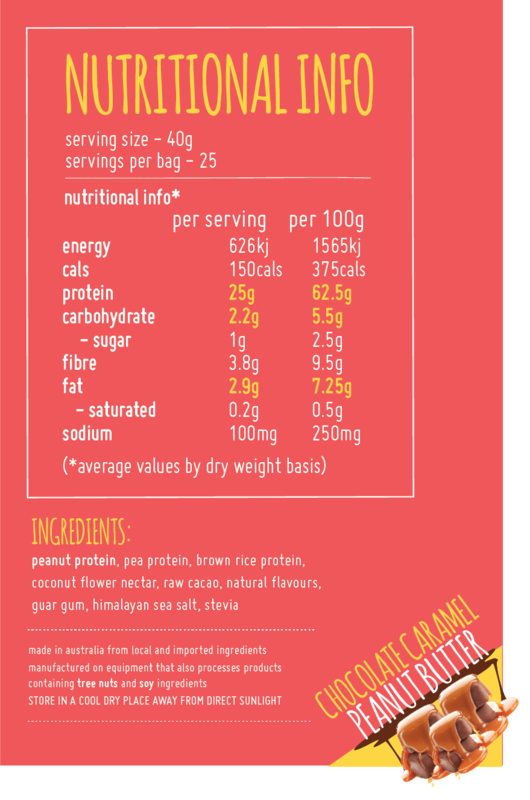 Our Chocolate Caramel is like drinking a caramel slice with peanut butter on top. Or if you want to play it safe our Original is for you. They are all AMAAAAZING!! 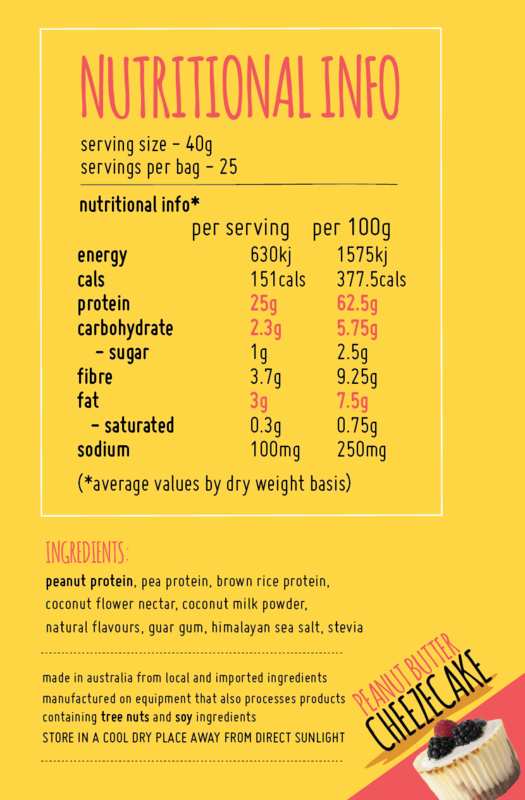 Please note, as we use peanut protein our protein+ will naturally taste like peanut butter. Buy Macro Mike Vegan Protein online at The Supplement Stop Australia. Afterpay, ZipPay and PayPal available. See some of the best vegan protein powder here. Our 1kg bag is 25 servings. Each serving has 25g of complete protein. It’s super easy to make, just mix 1 scoop (40g) with 200-250 mls of water. It’s delicious with almond, rice or coconut milk and even better in smoothies. Tried this for the first time and was surprised on how well it tasted, mixes well and well priced.